Review Asus pretty much started the whole Small, Cheap Computer ball rolling with its first Eee PC just over a year ago. But now there are hundreds of the darn things, from every manufacturer imaginable, so how does Asus ensure it stays at the forefront of the market? 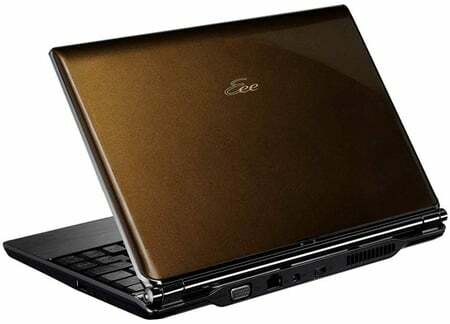 By going high end, it seems - which is what it has done with its latest offering, the Eee PC S101. While it's still certainly small - and indeed a computer - it may stretch the limits of anyone definition of 'cheap' thanks to a £449 price tag that's pushing right up against the £500 psychological barrier. 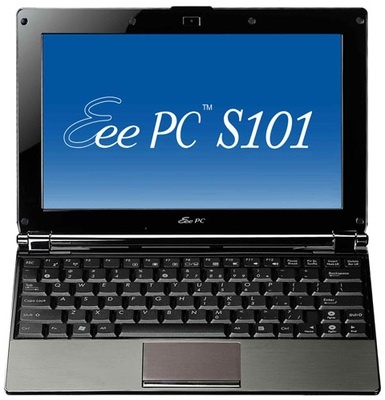 However, while it may cost twice as much as the original Eee PC, you could still get at least two, possibly three, S101s for the same money as something equally small and light from Apple, Sony or Toshiba. Asus has used the extra money in the budget not just to make the S101 look super special - from its glittery metallic brown lid and silver trim to the brushed-metal effect palm rest and crystal-adorned hinges, no less - but also to kit it out with some serious components. Cut down laptop, this certainly isn't. The 1.6GHz Intel Atom N270 processor and 1GB of DDR 2 memory are no surprise, but when it comes to internal storage the S101 is practically bulging at the seams. The internal SSD already runs to a healthy 16GB but in addition to that you'll also find a 16GB SD card in the box - effectively giving you 32GB in total, all solid state so you don't need to worry about bashes or bumps damaging your data. There's also an additional 20GB of secure online storage thrown in for free, although how much you'll actually use it is debatable - and it's only free for the first 18 months. Once your year and half is up, you'll need to fork out to keep it going. The 10.2in LED backlit screen supports the SCC-standard 1024 x 600 resolution and the obligatory 0.3-megapixel webcam at the top. You'll find 802.11n Wi-Fi on board plus Bluetooth for back-up. There are three USB sockets to stick things in - two on the left, one on the right - with 3.5mm analogue headphone and microphone sockets also nestling on the right edge. Round the back, there's an SDHC memory card slot, security socket, and VGA, Ethernet and power ports.